Serial number: 391. 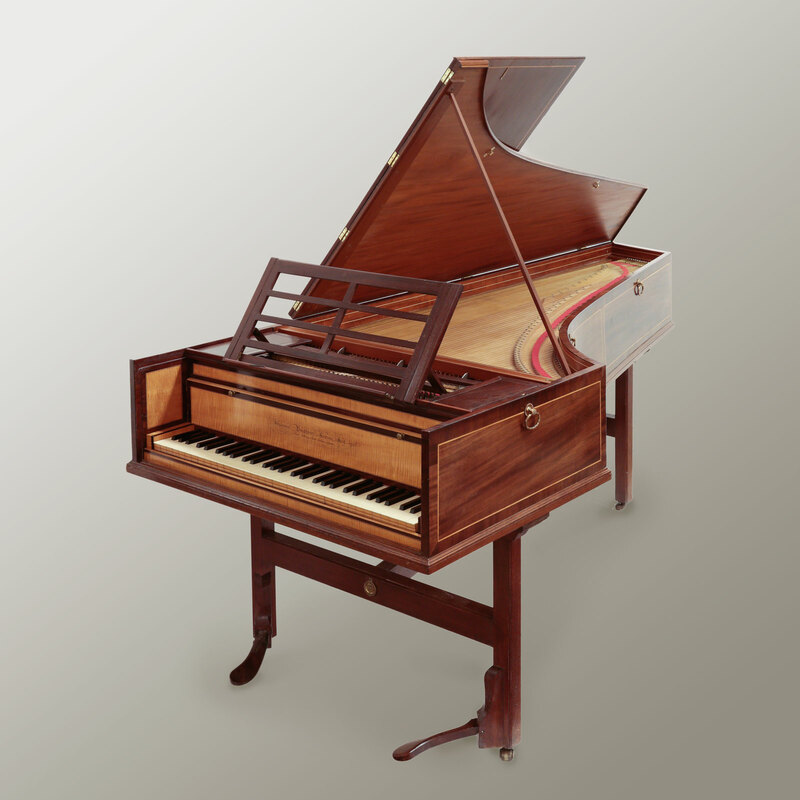 The keyboard compass is 5 octaves, FF-f3, the case mahogany with boxwood inlay bands. Two pedals: una corda and damping. Johannes Broadwood was born in 1732 in Cockburnspath, Scotland and came to Burkat Shudi’s workshop as an apprentice in 1761. In 1769 he married Shudi’s daughter. 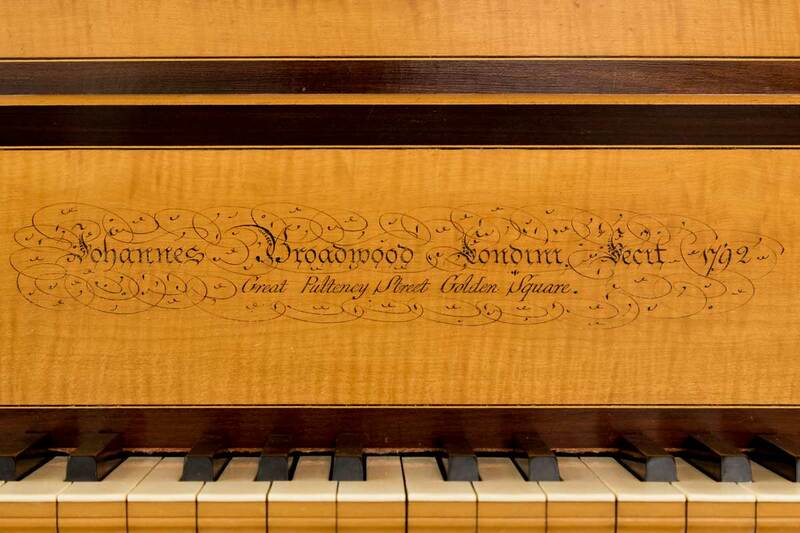 From 1770 until 1790 the harpsichords were signed ‘Burkat Shudi and Johannes Broadwood’. 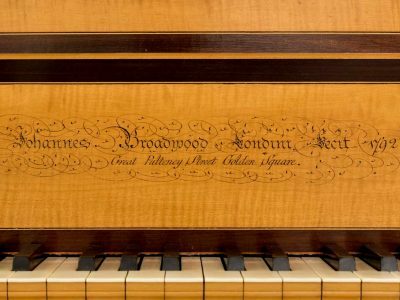 At the start of Broadwood’s piano building career he signed ‘Johannes Broadwood’, which he changed a few years later into ‘John Broadwood’. 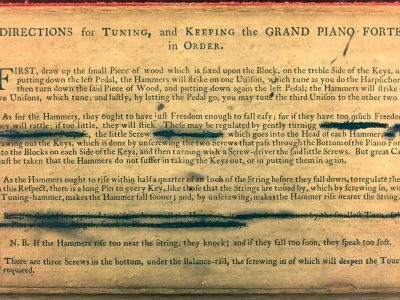 Joseph Haydn arrived in London on 1st January 1792. 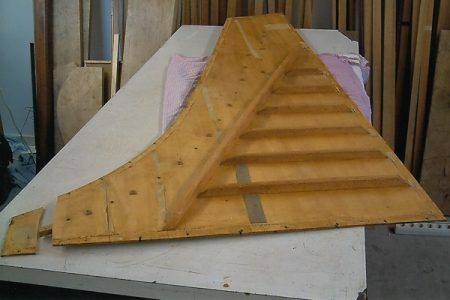 A few months later he visited the Broadwood Company. 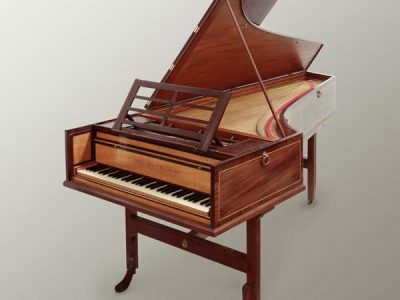 It is a nice thought that he might have seen, or even played, this very piano. 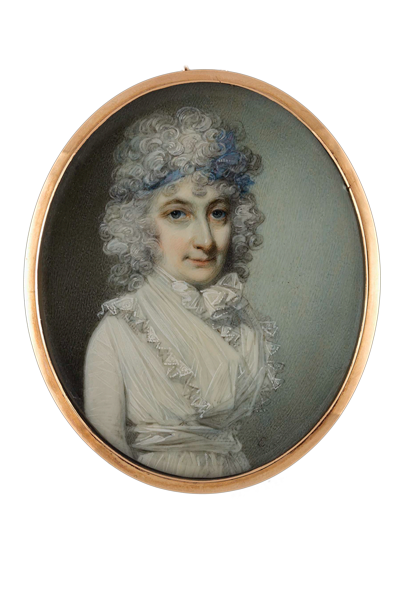 The miniature is a portrait of Elisabeth Peers, Lady Blunt, by George Engleheart, 1793. 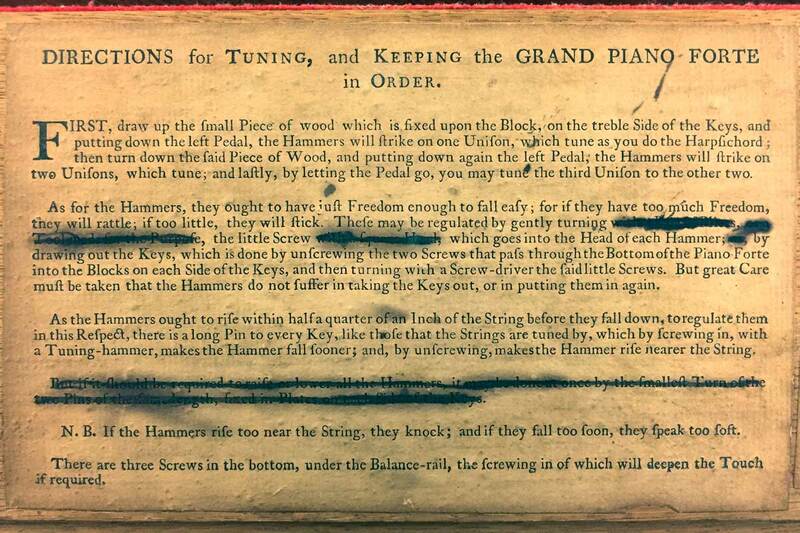 Apparently the instrument had hardly been played in its long past. 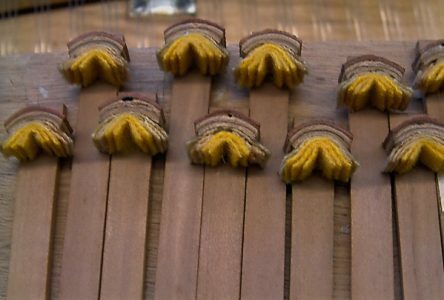 The soundboard had but a few cracks. 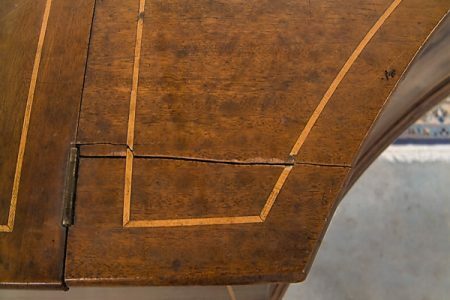 The lid was cracked as is nearly always the case in the early English grands. 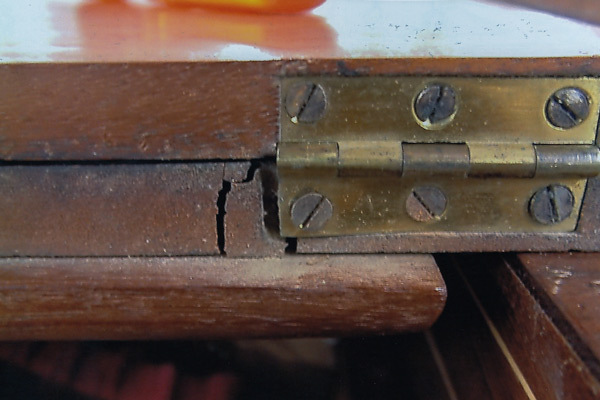 The action was amazingly enough like new….